Focusing on two women over a millennium apart who worship the same gods, Daughter of a Thousand Years is devoted to the theme of religious intolerance and the conflicts it creates. In AD 998, Freydís, the flame-haired daughter of Viking explorer Erik the Red, yearns for a more adventurous life than remaining with her family’s settlement on Greenland, marrying, and passing her days weaving and farming. 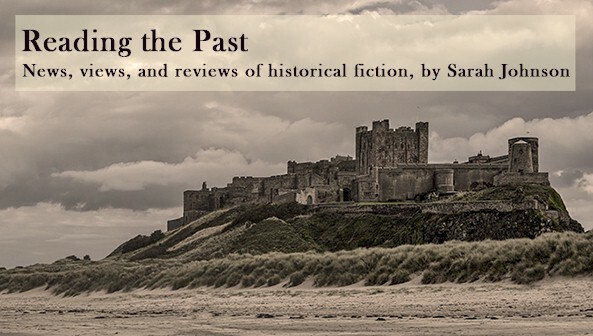 Historical novels abound with strong-minded women who defy their era’s social confines, but Carosella’s portrait of the stubborn, fearless Freydís agrees with the personality of the woman recorded in the Vinland Sagas. Protective of the Norse gods of her ancestors, Freydís hates that her siblings have accepted Christianity. She will also do anything, including wedding a man she dislikes, to have the means to set sail for distant lands herself. Her present-day counterpart is Emma Moretti, an adjunct history professor and conservative congressman’s daughter in New Hampshire in 2016. A practitioner of Heathenry, a neo-Pagan religion modeled on the beliefs of her mother’s Icelandic forebears, Emma secretly wears a Mjölnir pendant representing the hammer of Thor. In contrast to Freydís, Emma is hesitant and immature, despite being in her late twenties. She lives in a guesthouse on her parents’ property and eats meals with her Catholic family while participating in events for the latest political campaign and avoiding questions about church attendance. She fears revelations about her religion will torpedo her father’s election. While her current relationship fizzles out because she’s “not Catholic enough,” as Emma relates to her best friend, a new romance appears promising: her father’s longtime PR man, Adam, asks her out. At the same time, a controversial in-class discussion about the spread of Christianity in the Viking age jeopardizes her teaching job. The chapters alternating between Freydís and Emma are fairly short, which would normally ensure a fast pace. The importance of religious acceptance is deserving subject, but in this novel, the theme overwhelms the book. Being in Emma’s head during her many discussions about religion – with others, and with herself – quickly grows repetitive. That said, the depiction of academic life feels plausible, and it’s enlightening to read more about modern Heathenry. Of the two women, Freydís’s character certainly blazes more brightly. However, because of their religious differences, she refuses to befriend her kind, Christian sister-in-law, Gudrid. In their interactions, Gudrid – whose own story is historically fascinating – emerges as the more sympathetic character. Recommended for readers interested in reading about a fierce woman of the Viking age who don’t mind the modern character’s ruminations. 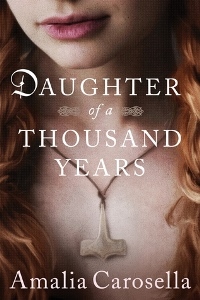 Daughter of a Thousand Years was published in February 2017 by Amazon's Lake Union imprint. Thanks to the publisher for making it available on NetGalley; I'm slowly getting caught up with my queue. 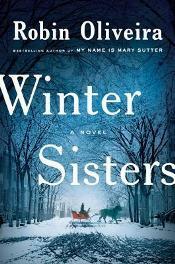 Emma and Claire O’Donnell, ages ten and seven, mysteriously vanish after a blizzard in 1879 Albany, New York—the same storm that kills their parents. Dr. Mary Stipp, the passionate, determined heroine from Oliveira’s best-selling My Name Is Mary Sutter (2010), is close to the O’Donnell family, and she and her physician husband, William, continue searching for the girls after the police give up. Newly returned from Paris, Mary’s musician niece, Elizabeth, distressed over the disappearance, and for private reasons, befriends Jakob Van der Veer, the local lumber king’s son. The discovery of the sisters’ fate then shocks the city, with newspapers stirring up interest and false rumors. This historical thriller involves a sensitive subject, but Oliveira is as gently direct with her traumatized characters as Mary is with her patients. The story shines in depicting Albany’s diverse geography and society, and the era’s antifemale bias feels downright infuriating. Some aspects of the mystery seem rather obvious, but the courtroom scenes are dramatically unpredictable. The individual stories build to create a multifaceted and affecting portrait of courage. Natalya Goncharova, Alexander Pushkin’s young wife, didn’t hold the best reputation among her contemporaries, whose opinions about her flirtatious behavior and rumored infidelities have followed her over the last two centuries. After all, Pushkin died after fighting a duel to defend her honor, and she was blamed for this great loss to the Russian literary world. However, basing her new historical novel on current research into Natalya’s life and own writings, Jennifer Laam makes a strong case that her name was unjustly blackened. 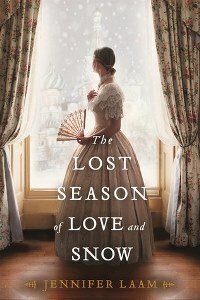 Set amid the elegant balls and country gardens of 1820s-1830s Russia, The Lost Season of Love and Snow also proves to be unexpectedly relevant to our own time, as women address issues of consent within relationships, deal with “imposter syndrome,” and struggle to have their voices heard. Only sixteen when they meet at a dance master’s ball in Moscow in 1828, naïve, sheltered Natalya is pleased but a bit flustered after learning she’s caught the interest of her favorite poet, and his kindness and intensity attract her in turn. The scenes detailing their courtship – which proceeds despite her mother’s initial disapproval – form the novel’s slowest section, yet are elegantly rendered. As the wife of a prominent man, Natalya is expected to follow the latest fashions and participate in the coquetry that pervades Tsar Nicholas’s court. Pushkin was known to be sympathetic to the Decembrist revolutionaries, and Natalya realizes she must avoid offending the Tsar at all costs. Laam depicts the difficult path Natalya must tread, graciously deflecting his advances while remaining active in court life. With its focus on interpersonal dynamics and the glamour of court life rather than Russian literary culture, the novel feels slighter than it could have been; more emphasis on Pushkin’s own poems about Natalya, for instance, would have heightened the emotional intensity and added character depth. Still, the novel works well as an introduction to their tragic love story, and to a woman who fought to assert control over her life. It must have been conceptualized and written well before the recent #metoo movement, although it can certainly be read and appreciated with these revelations in mind. Jennifer Laam's The Lost Season of Love and Snow was published by St. Martin's Griffin this month; thanks to the publisher for the review copy. 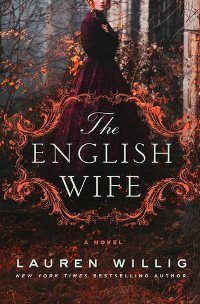 Lauren Willig’s The English Wife lends a distinctly American flavor to the Gothic family saga. Rather than a titled English family and their elegant country manor at the center, we have the upper-crust New York elite and their opulent Gilded Age mansions. Rather like the Vanderbilts, the Van Duyvils are of Dutch heritage; after arriving as immigrants centuries earlier, they now sit at the pinnacle of culture, with homes both in Manhattan and upstate along the Hudson. The novel uses the popular dual-period format to unravel a series of mysteries. On the eve of his Twelfth Night ball in 1899, held on the grounds of his English-style mansion in Cold Spring, young Bayard (Bay) Van Duyvil is found right before he dies, stabbed with a jeweled dagger amid the snow and ice in his lantern-lit gardens. His distraught sister, Janie, who faces social opprobrium due to her unmarried state, thinks she saw a woman’s figure underneath the ice – and Bay’s British wife, Annabelle, has vanished. What happened? The papers, sniffing out a scandal, proclaim their theory of a murder-suicide. Rumors had been flying about Annabelle’s affair with her husband's architect. Janie was never close to Annabelle or her brother, but she knows them both better than that. She wants to uncover the truth, and her means to this end is through a newspaper reporter, James Burke. Strangely, in Bay’s last words, he spoke a man’s name: George. Flashbacks to 1894 reveal the story of Bay’s meeting in London with a down-on-her-luck young actress named Georgie, who has been trying to escape a painful past and see her way out of her current predicament. 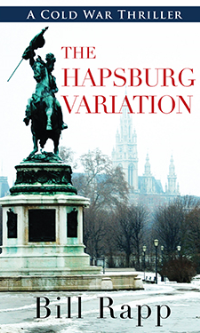 Willig knows the conventions of the gothic mystery well, revealing clues bit by bit, and sensing exactly when to upend readers’ expectations for where the plot is leading. She captures the trappings of affluence among New York’s high society members, the gossip that follows their every move (and in which they willingly participate), and the gilded prison in which they live. None of the wealthy characters has full agency, including Janie’s cousin Anne (a terrific secondary character), a sophisticated divorcee who trades barbs with Bay’s mother while chafing at her dependence on the Van Duyvils’ largesse. They had been returned early, but already people were milling about, making sure of their seats. No one wanted to miss the trial of the century. Never mind that last year there had been another trial of the century and another one the year before that. There were still ten months left to the century and this was the trial of it. For now. Janie’s romance is predictable in parts, but her feelings about her status as the family wallflower ring true. As its well-crafted mystery unfolds, the story also offers a sharp reminder that nobody truly knows what it’s like inside a marriage besides the couple themselves. The English Wife is published by St. Martin's this week; I read it from a NetGalley copy. 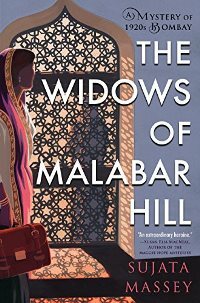 I'm pleased to present this interview with historical novelist Clarissa Harwood, whose debut novel was published by Pegasus last week. 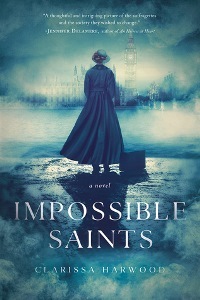 Impossible Saints takes readers back in time to England of 1907 and follows the separate ambitions and growing love between Lilia Brooke, a schoolteacher turned militant suffragette, and Paul Harris, an Anglican clergyman. Clarissa is a fellow blogger and member of the Historical Novel Society, and after receiving an advance copy of her novel in the mail, I knew I wanted to read it. I highly recommend it for its nuanced characterizations and depiction of how her hero and heroine's challenging romantic relationship reflects their personalities and the era they lived in. Why does historical fiction appeal to you as a reader and writer? I’ve always found that historical fiction communicates a fuller, deeper truth than dry facts and dates do. To be able to convey that authentic historical experience through storytelling is a powerful and dangerous thing! I’m also fascinated by the tension between historical accuracy and historical authenticity. Perfect accuracy is impossible without a time machine, of course, but even the things we can know for certain about the past can’t be exactly reproduced because readers wouldn’t find them compelling or even believable. For example, I once read this line in a novel by George Eliot: “Where do you hang out?” If a character in a historical novel were to say this, readers would certainly object to this use of apparently modern slang. As a reader, I’m often jarred by modern-sounding language. I remember seeing the word “cash” used repeatedly in a novel set in the Renaissance and wondering why this respected historical novelist would use anachronistic language. Imagine my surprise when I looked up the word in the Oxford English Dictionary and found that “cash” was indeed used as early as the sixteenth century to indicate ready money. I’ve had to cut some wonderful Victorian and Edwardian phrases out of my writing to avoid creating this jarring effect. For example, I’ve seen the phrase “she looked at him with all her eyes” in Victorian novels and think it’s a lovely way to describe a woman gazing at her child or suitor, but when I used it in an early draft of one of my novels, my critique partners told me it made them think of a spider! It’s a delicate balancing act for an author to create an authentic setting that readers find believable while avoiding the kind of accuracy that distances readers instead of inviting them into the story. But I love the challenge, and I love to see how other authors handle it. Rather than being a large-scale epic about the suffrage movement and other happenings of the day, Impossible Saints has a tight focus on two individuals, their relationship, and how historical events impacted them and vice versa. You’d written on your blog about how the original version of the novel was considerably longer and had a large cast of characters. During the revision/streamlining process, how did you decide what to leave out, and what to leave in? Deciding what to include and what to exclude is always difficult, but I’m fortunate to have people with great editorial eyes looking at my work—critique partners, beta readers, my agent, and my editor at Pegasus. It also helped to keep my focus on Paul and Lilia’s personal and relational development. As a reader and writer I’m always more interested in characters’ psychological depth and complexity than on large-scale epics. Although thorough research on the time and place is essential, the story won’t grab me if the protagonist isn’t three-dimensional. I’ll admit I was dismayed when Laura, my agent, first suggested killing off a fairly major character in Impossible Saints, but Laura has an uncanny ability to detect which elements of a story should be left in and which should be left out (I call her a synopsis whisperer), so I knew I could trust her judgment. I was also disappointed when I realized on my own that I had to kill off my only Canadian character and put a New Zealander in his place! It’s obvious to me now that both “murders” improved the novel. I enjoyed reading about the different traditions within the Anglican Church, including Paul’s preference for the elaborate ceremonies and formality of “high church” practices, and the conflicts he runs into because of this. How did you come up with his character, and how did you research this aspect of your story? About twenty years ago, Paul popped into my head as a serious adolescent with his ecclesiastical ambitions fully formed! At the time I’d just started my doctoral studies and had no time to write fiction, but the Victorian literature I was studying certainly influenced Paul’s character development. Anthony Trollope’s Barchester Towers was an important early inspiration for Impossible Saints with its focus on the lives and loves of cathedral clergymen. The Oxford Movement, which evolved into Anglo-Catholicism, influenced many writers of the time. I made its founder, John Henry Newman, Paul’s hero. I was also influenced by poets with connections to Anglo-Catholicism such as Gerard Manley Hopkins, who became a Jesuit priest, and Christina Rossetti, who worked with “fallen” women in a penitentiary run by an Anglican sisterhood. But Paul is also my response to the stereotypes of priests and ministers that I see too often in contemporary fiction—they’re either villains or unbelievably perfect saints. During the twenty years between the conception and publication of Impossible Saints, I was experiencing a sort of personal Oxford movement. I was raised in an evangelical Protestant church that I eventually left, but in my thirties I discovered the beauty and mystery of more “ritualistic” churches. The rich symbolism of the Anglican church in particular appealed to me on a literary as well as a spiritual level. Did you know from the beginning that you wanted to tell the story from the viewpoints of both Lilia and Paul? Yes, I did. The genesis of the novel was a vivid scene I imagined between Paul and Lilia when they first met as adolescents. It was in a meadow where Lilia was pretending to be Jeanne d’Arc, leading her army of brothers. This confrontation between a fearless girl and a quiet but stubborn boy set them up as equals from the start, and I felt both of their stories needed to be told. This scene was eventually cut from the novel, but Paul and Lilia both refer to it. I love stories told from dual points of view. 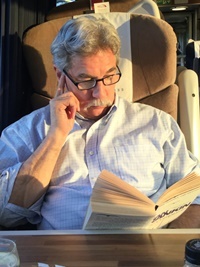 I’m fascinated by the very different perceptions two people can have of the same situation or relationship, and I enjoy exploring those perceptions as a novelist. The experiences Lilia faces as a leader in the Women’s Social and Political Union are traumatic, especially as the movement becomes more militant. Was there anything unexpected or surprising you encountered as you learned more about the suffrage movement? When I first started researching the suffrage movement, I knew very little about it, so many things surprised me. The biggest shock was the violent way the suffragettes were treated by police and prison officials. The militant suffragettes were represented in the media at the time as “unwomanly,” disorderly criminals, but even their most extreme activities such as setting bombs in letterboxes or empty buildings paled in comparison to the backlash against them. During public speeches and peaceful protests, they were assaulted physically and sexually by bystanders and the police. When they were arrested for destroying property and went on hunger strikes, they were force fed in brutal ways. Whatever one’s opinion may be of their militant activities, they didn’t hurt people, only property. Yet they were attacked physically, and some of them died later from the injuries they sustained in prison. How does your academic background and career inform your writing? As a student, I came close to choosing history as a major, but English literature won out. For my PhD I specialized in nineteenth-century British literature, and as a professor I’ve had the pleasure of teaching the great writers of that period. My knowledge of nineteenth-century literature and culture constantly inspires me with ideas for novels. But there is a disadvantage to being a novelist with an academic background—I had to unlearn my formal academic writing style and figure out how to tell a good story in an engaging way! For more information, please see the author's website at http://www.clarissaharwood.com. 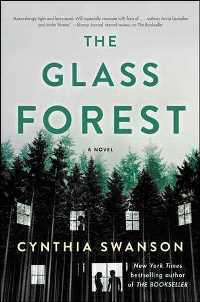 A good way into reading Cynthia Swanson’s The Glass Forest, I asked myself why I was turning each page with a mixture of eagerness and dread. After all, nothing remotely graphic had happened, other than a suicide that was reported early on. There were plenty of hints, though, that something terrible could occur at any moment. Escalating tension in a marriage. Signs of something dark and twisted about the dynamics within the Glass family. A mystery about the fate of an intelligent career woman whose efforts weren’t appreciated. The premise: in 1960, Angie Glass, a young wife besotted with her handsome older husband, Paul, and their baby son, travels with her family from bucolic Door County, Wisconsin, to her brother- and sister-in-law’s modern home along the Hudson. Paul’s brother Henry has been found dead, an apparent suicide. Henry’s wife, Silja, has taken off for parts unknown, leaving a note saying she couldn't stay any longer. Henry and Silja’s daughter Ruby, aged 17, appears strangely composed; perhaps she’s in shock? But Angie wonders if it’s more than that. As Ruby’s aunt-by-marriage, Angie feels it’s her role to mother and comfort Ruby, a quiet and friendless girl, but their closeness in age – she’s just 21 herself – makes her attempts awkward. There were moments I winced at Angie’s naïveté, but I worried alongside her as she gradually absorbed the truth about her husband’s family. The viewpoint revolves among Angie and Ruby in the novel’s present day, and that of Silja starting in 1942, when she was a bespectacled 20-year-old college student from Brooklyn’s Finnish-American community whose experience of love came from feature films. When Silja meets a Cary Grant lookalike, a GI about to leave for war, she's thrilled – which leads her into an impulsive decision, and a life, that she comes to regret. Mentions of movie stars, popular singers, and the Nixon-Kennedy television debates denote the timeframe, but what brings the period alive more vibrantly is the author’s evocation of social mores. This was a time when men ruled the household, even if they weren’t the breadwinner, and women had few options for escaping an unwanted marriage. This novel’s psychological suspense is well articulated, and – without giving anything away – the sense of fear is occasionally generated by what does not happen as much as what does. Because it makes you keenly aware of what people are capable of. The Glass Forest will be published by Touchstone/Simon & Schuster on February 6th; find it on Goodreads here. Thanks to the publisher for granting access via Edelweiss. This is the last book I read in 2017, and the first one reviewed for 2018.